UES specialise in boiler repairs. Our engineers are qualified to deal with all sorts of breakdowns, including, low boiler pressure, a leaking boiler, a boiler not igniting, a boiler making a banging noise, no hot water being produced, central heating not firing up and central heating leaks. 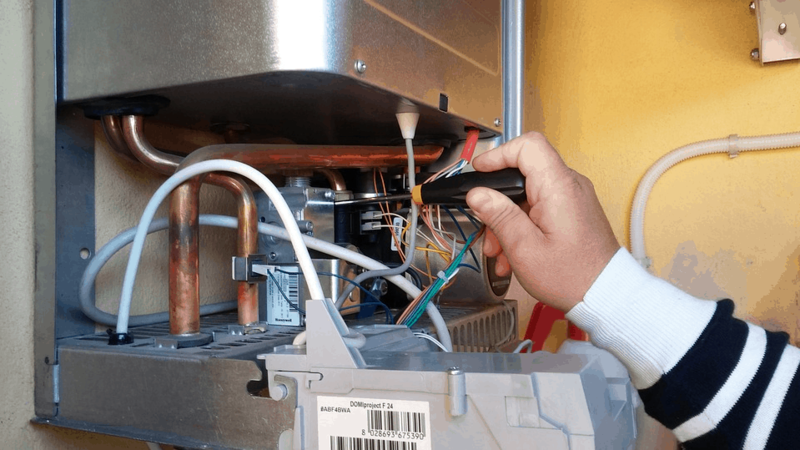 Where possible and if it is economical to do so, we will advise you on boiler repair options and restore heating to your property with the minimum of fuss. We offer a comprehensive boiler service. Regular servicing means your boiler will be more reliable, efficient and cost effective. Our Gas Safe and Oftec qualified engineers will carry out a full inspection of your boiler. This includes checks to ensure that it meets current safety regulations, testing the pressure as well as the ventilation.